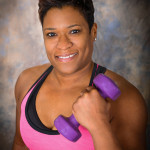 Terrance Hutchinson is the owner of Best Lifestyle Fitness and Nutrition. 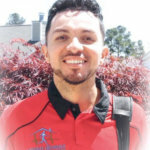 He has been providing health and fitness instruction over the last 9 years throughout the Georgia, Carolina’s, Florida, and New York AND L.A. area. He also has online fitness programs with clients in Germany and Australia. 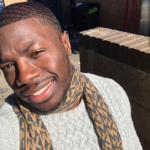 Terrance is the contributing heath and wellness writer for ELEV8 MAGAZINE, KONTROL MAGAZINE, BOLD AGELESS BEAUTY MAGAZINE, and MYTIME MAGAZINE and IMPACT MAGAZINE. He also has an impactful blog at WWW.Corporate49.Wordpress.com. 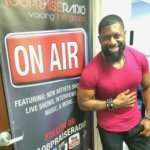 He’s been nominated for the 2017 RICE AWARDS for Health and Wellness, Nominated for ATLANTA HOTTEST Author, Fitness Model, and Online Radio Host. Nominated for Best Self Magazine’s BEST PERSONAL TRAINER IN Atlanta for 2017. Cover Model for BOLD AGELESS BEAUTY MAGAZINE Fall Issue. Nominated for BONHEUR MAGAZINE’S TOP 10 BATCHELOR IN ATLANTA FOR 2017. Terrance understands how it is to maintain a busy work schedule while balancing proper nutrition and purposeful exercise. Whether it’s to lose or gain weight, increase strength, continue post rehabilitation after prescriptive medical care or creating customized programs for clients, Terrance has expertise in all areas of the fitness and wellness industry. 23 years of work experience like European Physical Therapist , Chiropractor and Coach. A perfect knowledge of the body and his operation. IT’S TIME TO TAKE CARE OF YOURSELF AND YOUR FAMILY! My philosophy is to view being “FIT” as an ongoing process. To be “FIT” means to have: A “F” foundation of “I” incorruptible “T” thinking . By first changing your heart, and your mind, you body WILL and MUST follow anything that you set those two vital vessels to do. I live, dream and eat fitness every day of my life. 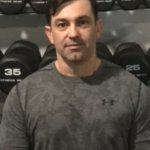 I have 20 years of personal training expierence. I fell in love with fitness, when I was 6 years old, my mother and uncle gave me my first set of weights to work out for football. I played professional football, currently compete in bodybuilding. Having won several titles, I learned how to transform client’s bodies with my personalized workouts and healthy food plans. 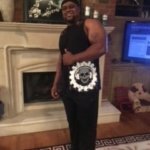 After my football career ended, I wanted to share my love with others to achieve their personal fitness goals through tailored fitness activities and guided fitness programs. RASHID SHAKIROV-CERTIFIED PERSONAL TRAINER I have always been fascinated by amazing biological machine ever created by the Mother Nature, it is Human Body. My bookshelves are filled with books in anatomy, yoga, health and everything about it. In addition, my wrestling background in school and later in college, helped me get insider knowledge of, how all pieces of that puzzle work together.Sadly, we do not appreciate what the precious gift we have. We are constantly destroying everything around us, the environment, other creatures and ourselves. We are more conscious of our cars, when we are filling tanks with premium gas than our bodies when we are eating junk food and feeding our kids with it. Our goal as fitness professionals, not to work just on the appearance of our clients but educate them about the importance of building up healthy habits. It should not be a quick fix diet for some event, but the lifelong habit. My favorite workouts are with body weight. Everything is done in the movement. With necessary adjustments for clients with limitations to avoid injury. Why I Train: I started lifting weights to prepare for the military after finishing school. I ended up loving how it made me feel mentally and the discipline it created. I try to help other people learn to love exercise in whatever form speaks to them. Method of Teaching: With everyone I try to use verbal, written, and physical cues. Most important is spending time with the person to learn how they best learn and what motivates them. Favorite Food: Hard to say! If I had to choose I’d say fajitas and a cucumber salad. Favorite Quote: We are what we repeatedly do. Excellence, then, is not an act, but a habit. Fitness has always played a vital role in my life, from playing sports at an early age through college to training elite warriors for combat operations. During my career in the military, working out was less about gaining a competitive edge but more of enhancing my fitness for ever-changing conditions. I applied the Special Operations’ motto of “Anytime, Anyplace” to my workout regimen. My diverse experiences have enabled me to design programs from robust facilities to more austere locations that fit into any daily schedule. I possess a wide array of techniques that will ensure we find the right program to transform you into the “you” that you want to be. Together we will establish your goals and determine which fitness routine will be the best fit. If you are looking to improve your flexibility and balance, we can incorporate some yoga into your program. Despite my gentler side, if you need some tough love to remain motivated we can set out on a training mission where failure is NOT an option. In addition, I can help you enhance your personal protection capabilities through self-defense training. I also understand when fitness goals are sidetracked. Personally I have rehabilitated from several sports as well as combat related injuries in addition to helping numerous clients regain their ability to pursue and achieve their fitness goals. I am confident that we will achieve success together. 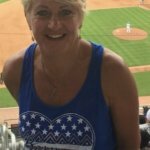 Tiffany is a certified personal trainer who has a love for health and fitness and a passion in helping others succeed in their fitness goals. 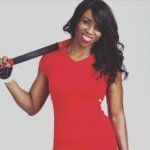 With several training techniques, Tiffany has the ability to build your confidence and gain knowledge to move to your next fitness level. With specialization in use of Mind Muscle Mastery, Weight Loss and Toning, Endurance and Strength Training and High Intensity Interval Training (HIIT), she is interested in your success and committed to your plan. She uses a mix of plyometric and weight training to assist individuals and consistently improves them over long term.Tiffany believes that the number one rule to follow when obtaining a goal is to make a plan and follow the plan. Fitness is not only about the physical change but the inner self too. Be better than you were yesterday and which point, plans are executed and habits are formed. She has competed in a supernatural bodybuilding competition and would like to compete again. 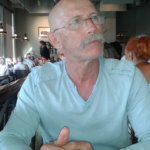 I have been working actively in the fitness and wellness industry for the past 33 years in South Africa. I am currently training in the areas surrounding Atlanta. My passion is working with clients to achieve their specific goals is the key to laying a foundation with a strong platform and motivating her clients to become the best version of themselves and get into the best shape of their lives – for life. As a competitive runner, cyclist and triathlete, I understand the importance of a strong core and specialize in postural strength and core training with a clear vision on balancing the body through focusing on inner strength and flexibility. My experience extends to post surgery rehabilitation, pre and post natal exercising both on land and in water and the rehabilitation of sports injuries. I have always been fascinated by amazing biological machine ever created by the Mother Nature, it is Human Body. My bookshelves are filled with books in anatomy, yoga, health and everything about it. In addition, my wrestling background in school and later in college, helped me get insider knowledge of, how all pieces of that puzzle work together. Sadly, we do not appreciate what the precious gift we have. We are constantly destroying everything around us, the environment, other creatures and ourselves. We are more conscious of our cars, when we are filling tanks with premium gas than our bodies when we are eating junk food and feeding our kids with it. Our goal as fitness professionals, not to work just on the appearance of our clients but educate them about the importance of building up healthy habits. It should not be a quick fix diet for some event, but the lifelong habit. My favorite workouts are with bodyweight. Everything is done in the movement. With necessary adjustments for clients with limitations to avoid injury.